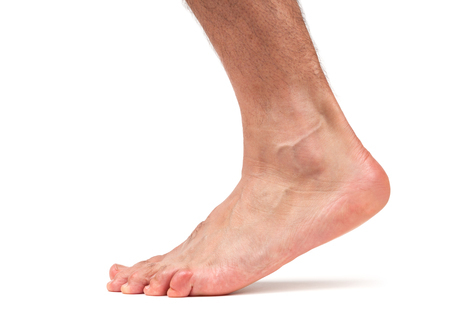 The condition called flexible flat feet can be easily diagnosed by wetting your feet and standing on the floor. If the imprint shows the entire bottom of your foot, then your arch is flexible and is falling all the way down each time you take a step. For some people this doesn’t cause any problems, but for others, a profound improvement in foot mechanics can be achieved by properly treating flat feet. Many people are surprised by the beneficial effect that treating flat feet has on their knees, hips and back as well. If you have problems with flat feet, you are also more likely to develop deformities like hammertoes and to experience Achilles tendonitis and calf muscle pain. After a complete foot exam is done by your podiatrist, a computerized gait analysis can be used to determine your foot type and to design custom orthotic inserts. If suspect that you need assistance treating flat feet, see your foot doctor for an evaluation. 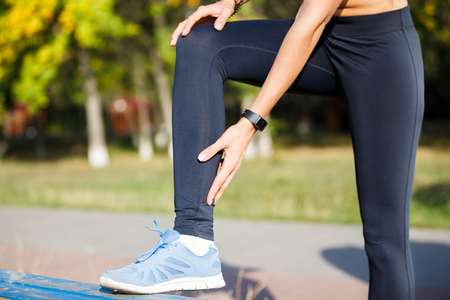 At Family Foot & Ankle Clinic, Dr. Stephen Markantone treats a wide variety of foot and ankle conditions including sports injuries, diabetic foot issues, pediatric foot conditions, toe and foot deformities, fungal infections, and heel problems. Equipped with the most advanced technologies and a dedicated staff, Family Foot & Ankle Clinic provides individualized and high quality care for patients in the North Versailles and Delmont, PA areas. Contact our North Versailles office at 412-824-9370 or our Delmont office at 724-733-3338 to schedule an appointment.